Heaven on Wheels is an affordable ground transportation service provider present in more than 20 cities. Unlike other Garland limousine service companies, this company specializes mainly in Hummer Limo rides. 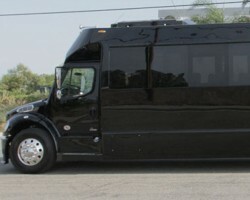 Clients have a wide selection of Hummer limos to select from at cheap rates. Therefore, whether you want to go to a fancy party, or you want to transport a bride to a wedding, there is nothing that Heaven on Wheels can’t meet. Based in Garland, Texas, Emran Car services has been offering exquisite ground transportation solutions to clients in Garland for close to 20 years. The company prides itself on providing luxurious and prompt airport transportation services to tourists and residents alike. Apart from airport transport, clients can also hire one of the company’s luxury limousines for weddings, a prom date, and corporate events. Born out of the need to provide the best transport service in Garland at competitive prices, Prince Limo Services is one of the most reliable limo companies in Garland. Thus, clients can expect prompt and punctual services from the company’s professional and experienced drivers. For reservations, the firm is accessible to customers 24 hours a day, 7 days a week and offers some of the finest town cars. SouthLake Limo Services is a premier Garland limo service provider. With over ten years experience, the company is renowned for its luxurious stretch limos. To meet the ever-growing demand for limo services in Garland, SouthLake Limo offers a diverse fleet of limos ranging from luxury sedans, SUVs, stretch Escalade to excursion and hummer limos. 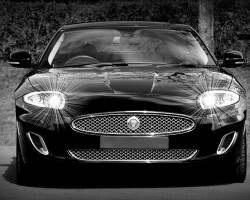 In addition to having a unique assortment of limos, the company also boasts of having highly trained chauffeurs committed to providing clients with reliable and dependable services. 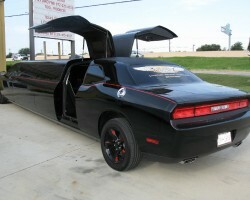 As its name suggests, Premier Transportation is one of the most reputed limo rental companies licensed to operate in Garland. In addition to limo rentals in Garland, TX, Premier Transportation also specializes in airport transfers. As one of the best transportation service providers in the whole of Texas, this local company was recently named the National Operator of the Year by the Industry’s Association and Magazine.